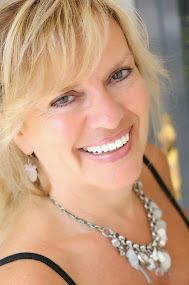 Recently a person who has been working very consciously and diligently on re-shaping the inner world, said to me: I feel so excited when I do this, and my reply was: it's because for the first time you are truly coming into connection with yourself. There is always an inner sensation of resonance and excitement when in some fashion we connect with our true self, our inner self, or, as many authors put it: our soul. We feel energized, we feel good, there is, in fact, a similar sensation to how we feel when the one we love enters the room and we catch a glimpse of him/her in the distance. There is a simple reason for this: as we come into contact with ourselves, we also begin the process of loving the self, and quite frankly, there is nothing quite so magnificent as that. Loving the self is the basis for so much if we seek inner peace, harmony, joy and well-being, that to not begin to do it consciously, if at all possible, is to deny yourself the greatest of tools for health in all dimensions. 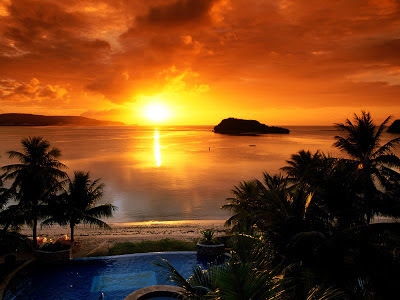 Once someone is conversant with that sensation of excitement that arises as they begin to connect with their inner self, they will also begin to understand what lies behind the pull of what you really love. There is a similar feeling of excitement when you begin to connect (work, study, hobby) with something that you really love. And of course the reason is based on the same principle: the excitement you feel when you do that thing (whatever it is), or even just think about doing that thing, comes about because you are connecting to some core element of that true self, that inner self, or your soul, that was referred to above. So the pull of what you really love is much stronger than any other pull ... stronger than the pull of the desire for material acquisition, stronger than the desire for social, professional or academic prominence, and when you feel that pull, you would be well advised to heed it. It was Rumi who said : Let yourself be silently drawn by the stronger pull of what you really love. 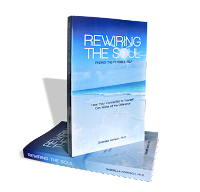 For more about connecting to your inner self, and of making conscious choices that will enhance your life and promote greater inner peace and freedom, have a look at my book Rewiring the Soul: Finding the Possible Self (paperback or Kindle).